Ngozi Okonjo-Iweala, former minister of finance, says former president Goodluck Jonathan, acknowledged that he did not know economics but had a clear direction of where he wanted to take Nigeria to. 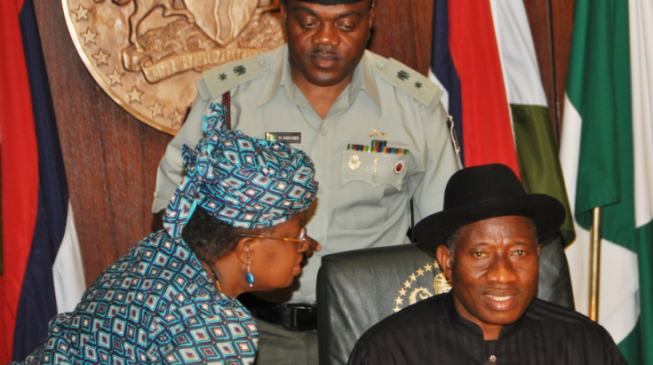 In her recently-released book on her role in the Jonathan administration, Fighting Corruption is Dangerous, Okonjo-Iweala narrated how she came to join Jonathan’s team, after rejecting the same offer from the Yar’Adua government. She said the first person to speak to her on the issue was revered economist and former chairman of Stanbic IBTC, Atedo Peterside, who thought she fits the bill. Jonathan, who studied Zoology, was always willing to support Okonjo-Iweala on matters that would improve the state of the nation’s economy, the book revealed. After considering the offer for a while, she made up her mind, with the support of her family, and boss at the World Bank, Robert Zoellick. “I traveled to Nigeria to see the President, and my youngest brother, ChiChi, drove me to the Villa (the official office and residence of Nigerian presidents) for that definitive meeting,” she wrote. “Arriving at the residence gate, I suddenly felt nervous about the enormity of what I might be signing on to. My brother noticed my unease and parked the car in a corner, and we prayed for God’s wisdom and guidance. “At that point, I was almost hopeful that the President might not agree with the issues I would bring up and it would be over. But the meeting went well. 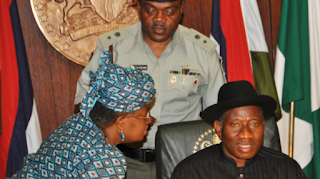 President Jonathan was gracious. He listened carefully to all I had to say. “We had a good discussion on the economy, and even though he kept saying he did not know economics, he was clear on the direction he wanted to take the country. The GAVI boss and former managing director of the World Bank, said Jonathan agreed to the terms that she thought would enhance her goals of building on the work she started as minister under former president Obasanjo. “He also approved of creating an economic team that he would chair that would meet regularly once a month to start and at longer intervals down the line and a smaller economic implementation team that I would chair that would meet once a week to coordinate between economic portfolios and get things done. “As for the composition of the team, I mentioned the need for a small core of reformers. Before my visit, I had received a call from Dr. Akin Adesina, agricultural economist at the Rockefeller Foundation and Vice President of AGRA (the Alliance for a Green Revolution in Africa), who said that he had been approached to be nominated as a minister and he wanted my Opinion. “I had known Akin from my work on the Rockefeller board, and I was very proud of him. He was one of the best Nigerians I knew in agriculture. He was smart, innovative, and dynamic.